Lovisagården comprises some of the oldest buildings in Stenberga village, dating back to the 19th century. In addition to the village shop, the farm also housed the postal office and a dairy. 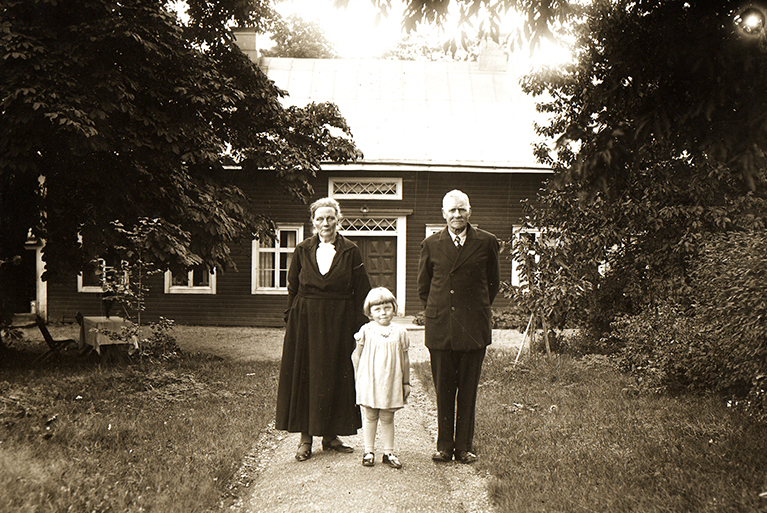 The farm and accompanying farmland was bought in 1904 by Lovisa and John-Ludvig Karlsson. In 1953 Lovisa was widowed but she managed to support herself on a small pension and weaving beautiful artwork. The old village shop had by then been closed and the space used for storage. After Lovisa’s death the manor house and farm complex was left standing empty for many years. In 1990 my husband Per and I bought Lovisagården, my ancestral home, and after careful considerations we began major renovation and restoration works on the manor house. It was a wonderful feeling to be able to see the house come alive again. Two years after completing the restoration work we opened the doors to Cafe Lovisen, housed in what used to be the village shop. The shop had by then been carefully restored and much of the original features retained. My great grandmother’s name Lovisa was used to name both the farm and the cafe. The old shop has once again become the hub of activity in Stenberga village.